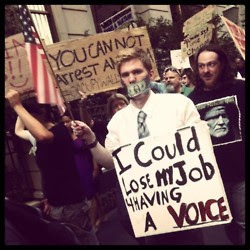 Sahib and the Crew Save the World: The Occupato Mafia - New Name for Occupy Wall St.
Good one!! But if he gets fired he will sue for 1st amendment violations!! YOu Know it!! !